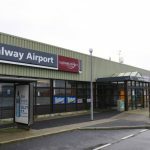 APPROACHES have been made to Galway City and County Councils to purchase the 1115-acre Galway Airport site for “well in excess” of its €1.1 million purchase price. Consultants charged with preparing a feasibility study on the future of the site are set to meet with the City Council Chief Executive inn the New Year. 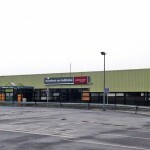 And the use of the facility again as a commercial airport is increasingly unlikely – an application to have a higher category aviation licence granted has been refused unless a whole host of requirements are met. Brendan McGrath told city councillors at a meeting this week that he was due to meet with Future Analytics Consulting last week, but the firm cancelled, and the meeting will have to be rearranged for the New Year. Mr. McGrath said the Councils purchased the site for €1.1m and already had offers to buy it for well in excess of that figure. He explained that when Galway Flying Club was in use, it had the highest category of aviation licence available, and now Galway Flying Club has ‘the lowest’, as per their requirements. He said that when the City and County Councils purchased the airport in 2014, all of the communications equipment was owned by a third party and sold. Any equipment remaining is “old, out of date and no longer fit for purpose of the higher aviation licence”. He added that in the short to medium-term, the feasibility report found “no great opportunities for return to aviation”. “We applied to the aviation authority for a higher category of licence and they came back with a list of requirements as long as my arm which we don’t have the wherewithal to meet,” said Mr. McGrath. 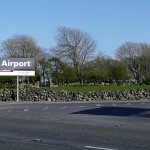 He was speaking during a discussion non whether to continue leasing the runway and flying club for the coming year for €10,900, which was agreed by councillors. Cllr Padraig Conneely had asked if the Council had completely ruled out re-opening the facility as an airport, as it had been put to him “quite forcefully” in recent times that Galway needs an airport. “Employment is on the rise. Galway is becoming massively successful as regards an employment and industrial hub, and businesses who approached me said don’t rule it out or completely take upp the runway. “It’s a long few years since the time of recession. 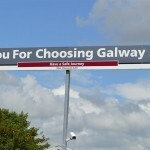 Galway has massively improved,” said Cllr Conneely. Cllr Donal Lyons said there is still a lot of support for an airport in Galway and a lot of executives still want to fly into Galway.